Begin at the rear edge of the roof panel joint finish molding and carefully pry the molding from the roof ditch clip. Pull the molding forward out of the ditch. Carefully lift the front edge from the second roof ditch clip. Clean any adhesive residue from the ditch using a 50?€‰/?€‰50 mixture by volume of isoproypl alcohol and clean drinkable water. Dry the ditch with a lint free cotton towel. Insert the front edge of the finish molding to the edge of glass. Using a roller-type tool, roll the molding into the ditch front to rear to ensure full adhesion is made. 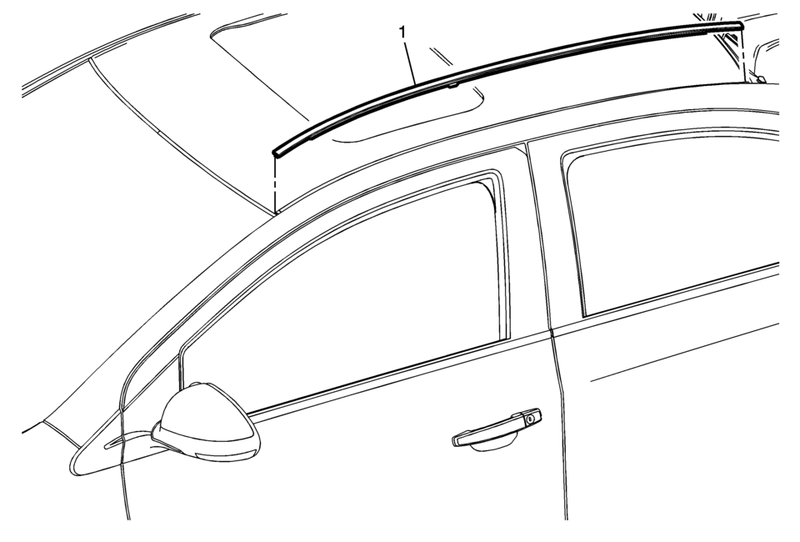 Tuck the rear lip of the finish molding to the edge of glass at the rear of the roof panel. Inspect the molding to roof ditch fit.